Ottawa Snow Plow, originally uploaded by johnwmacdonald. 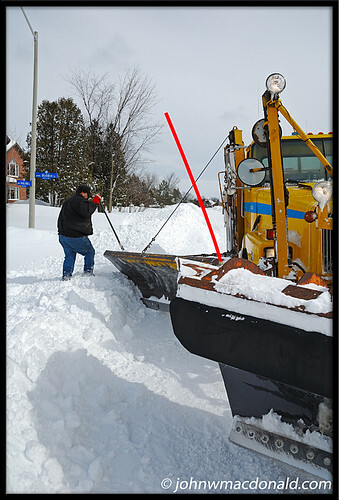 The driver of this City of Ottawa snow plow pulled over to make some minor adjustments to his side blade as he made his way through the streets of Greely West, south of Ottawa. I have to say the plowing service this winter has been *outstanding* despite the record snow falls we have received.